You will see another pumpkin below that really out does mine and is the best pumpkin I have seen by far. 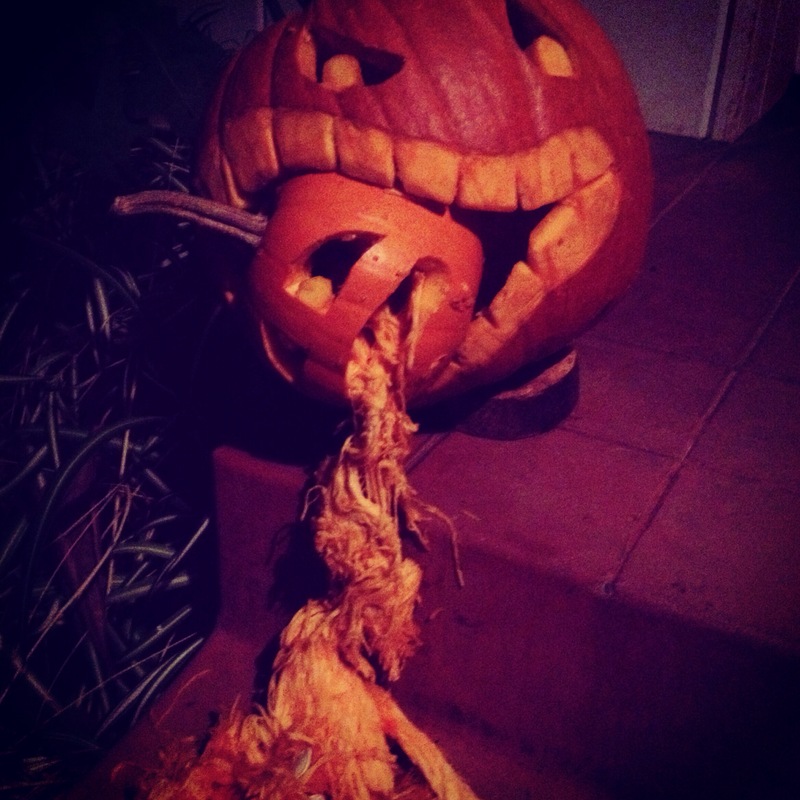 Great job to my boyfriend for creating this pumpkin! 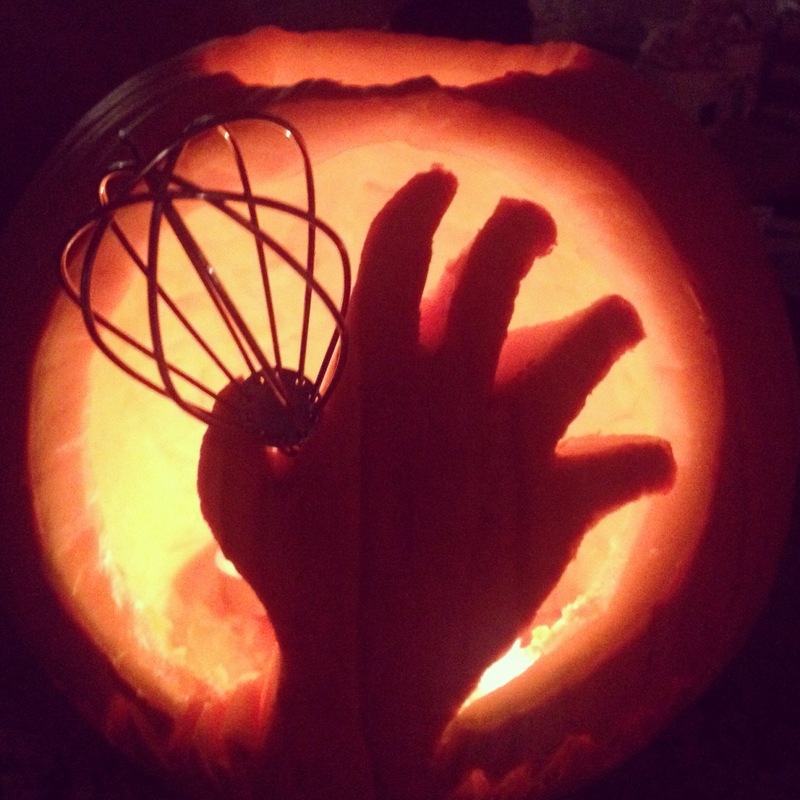 What pumpkins have you made this year? Happy Early Halloween!! Οχι Day, Name Day Celebration, and Breaking Bad Cupcakes! Thanks!! 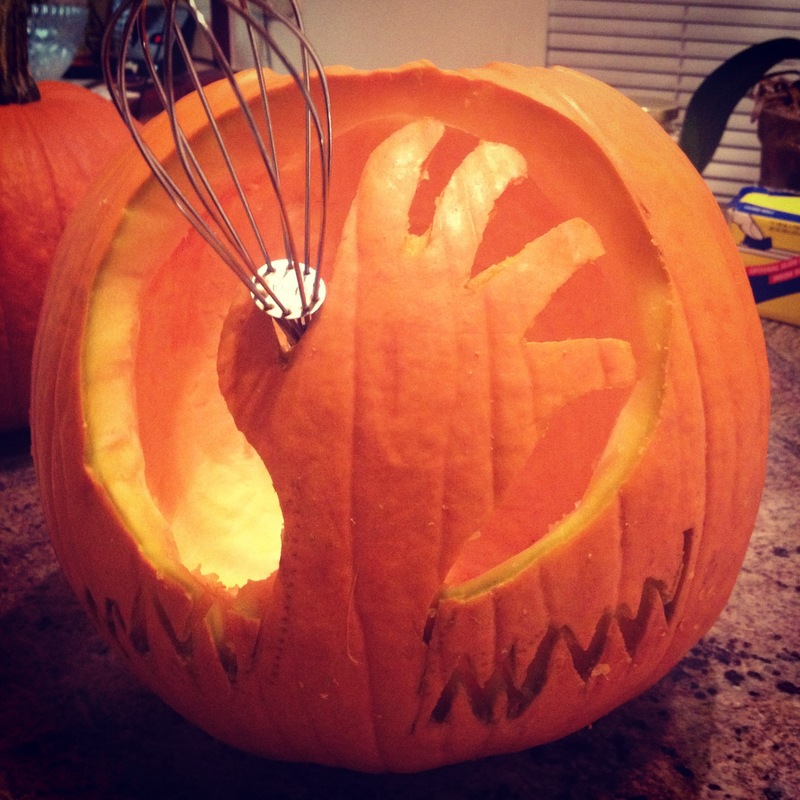 Did you get a chance to make any pumpkins this year? Lol haaaa I totally agree. Happy Happy Halloween to you too! Are you celebrating? I know apokries is in February though. Yes, we’re not celebrating Halloween in Greece! We have Apokries which do not have a fixed date of celebration and it is kind of complicated! The official “Apokries” period begins 70 days before Easter. The actual celebrations extend in a three week period, starting with the Sunday of “Asotou” -63 days before Easter-, moving onto the next week, on Sunday of “Apokreo” -56 days before Easter- moving onto the final week, on Sunday of “Tyrofagou” 49 days before Easter and on Kathara Deftera (Ash Monday) -48 days before Easter! Then the fastening for Easter begins. So all of these celebrations’ days depend on Easter’s particular date each year to be determined!!! So for 2014 we’ll have Sunday of Asotou on Feb.16th, Sunday of Apokreo on Feb.23rd, Sunday of Tyrofagou on March 2nd, and Ash Monday on March 3rd with the Apokries celebrations extending among all three weeks before Ash Monday!!! And just reading about it gives you a headache!!! And, on a side note, I really really hate Apokries (and I’d like Halloween so much better!). Wow, thanks for the detailed info on Apokries. I was actually in greece a few different occasions for Apokries, but I celebrated with Nestora in 2011 in Athina. 🙂 It was fun, we went to a little hookah bar, had nargileh and some drinks and then went home. Yeah if you come here next yr come for halloween, and I will show you around. 🙂 So ti nea?? Ola Kala? I keep having to do some new products for the lavender, and I haven’t told you, but we are making hot chocolate lavender, and we made a lavender sugar for people who want to be creative in the kitchen, like me. 🙂 I want to send you some samples, for you and your mama.